Facebook has long dreamed of putting the internet -- and its social network -- into everyone's hands. It's getting closer. At the Facebook F8 developer conference on Wednesday, the company shared the results of its tests aimed at connecting rural regions around the world to the internet, and showed how Facebook (FB) could help out during disasters. This disaster zone tech is still a long-term plan. But Facebook says it could eventually be deployed for months at a time, providing connectivity while a community rebuilds itself. In downtown San Jose, the city hosting F8 this year, Facebook is testing its high-speed internet for populated areas. Called Terragraph, the tech boosts wireless in places where a lot of people need to connect to the internet. Launched last year, it was the first place to test out what had previously only existed in Facebook's labs. Facebook said there's still work to do before rolling out Terragraph more broadly, but that it's "encouraged by our progress." The company also lauded its first successful Aquila flight last year. However, the drone built to deliver internet from high in the atmosphere hit a snag on its first test flight in June. The drone suffered a "structural failure" upon landing, and was investigated by the National Transportation Safety Board. Test flights will continue this year. 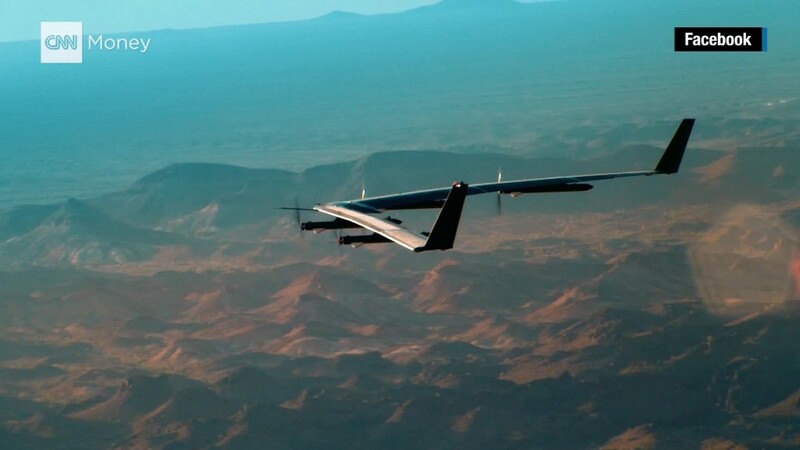 Millimeter wave technologies, which is what connects Aquila to a station on the ground, continues to provide faster data speeds, Facebook said. Facebook set a record in data transfer with the technology. This month, Facebook tested a data rate so fast it could support streaming 4,000 ultra-high-definition videos simultaneously. It also beamed data back and forth to a Cessna plane flying more than seven kilometers away. "This ground-to-air record modeled, for the first time, a real-life test of how this technology will be used," the company said in a blog post. These efforts come from Facebook's Connectivity Lab, part of Internet.org, working on projects to get the next billion people online. However, Facebook's plans to beam internet (and Facebook) has been criticized, and in some places squashed. Last year, India blocked Facebook's Free Basics program, saying it could create an unfair playing field and "stifle innovation."